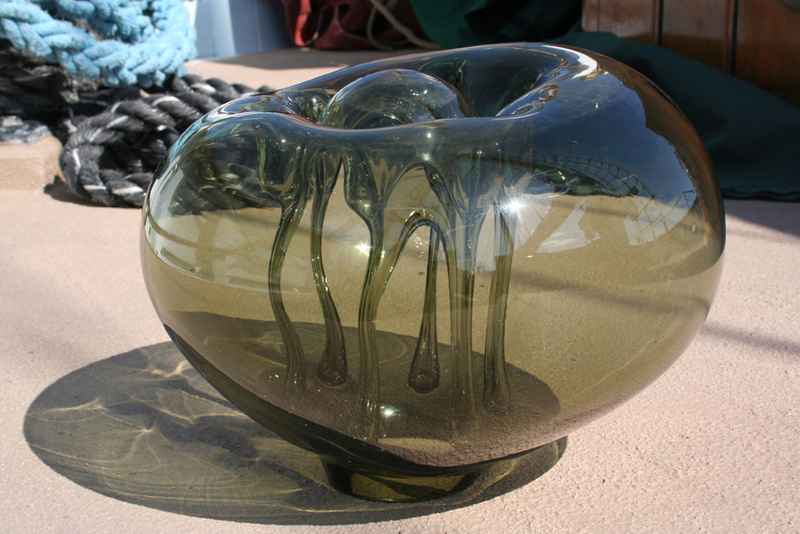 MID CENTURY HAND-BLOWN ORGANIC STUDIO GLASS FORM Dragan Drobnjak? 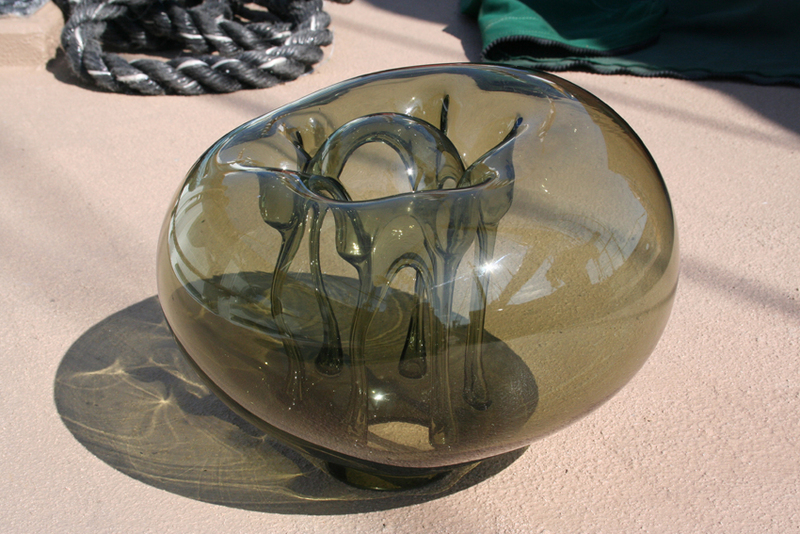 Does anyone have any clue as to maker of this 'impossible' piece of hand-blown glass? I think that originally, I photographed this piece upside down! Looks so much better, the right way up! Thanks so much for the Mark Hill reference... Think you may have cracked it. 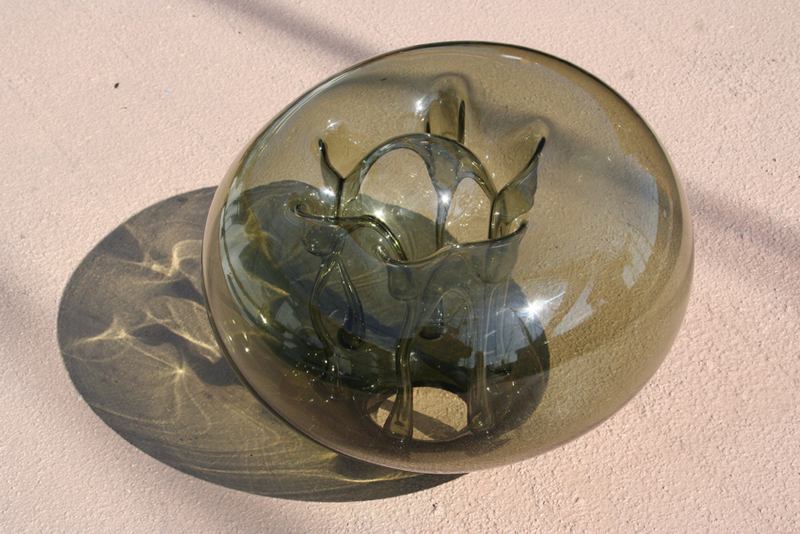 Re: MID CENTURY HAND-BLOWN ORGANIC STUDIO GLASS FORM Dragan Drobnjak? The technique here resembles the works of a glass artist called Dragan Drobnjak whom Mark Hill has written about. Thanks so much for the link to Mark Hill... He seems pretty confident that the attribution is water tight. Really pleased with my find, stunning piece of glass! It's great to come across an unusual, beautifully crafted piece like that...doesn't happen very often!